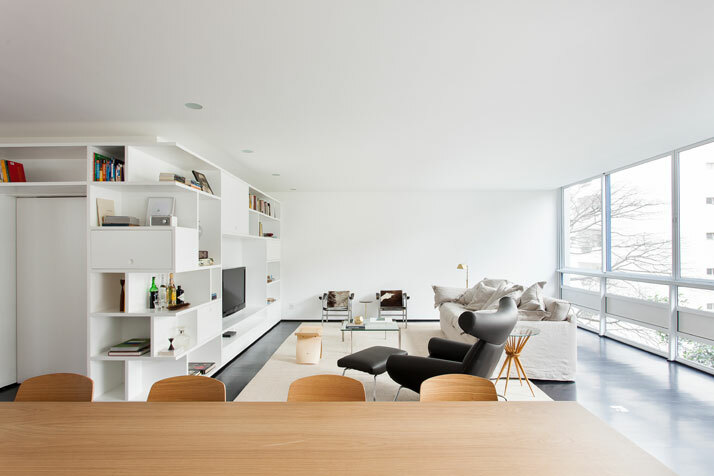 The Brazilian architecture firm of Felipe Hess has designed this bright and spacious apartment located in a 1960’s modernist building in São Paulo for its owner, a young actor who lives alone. 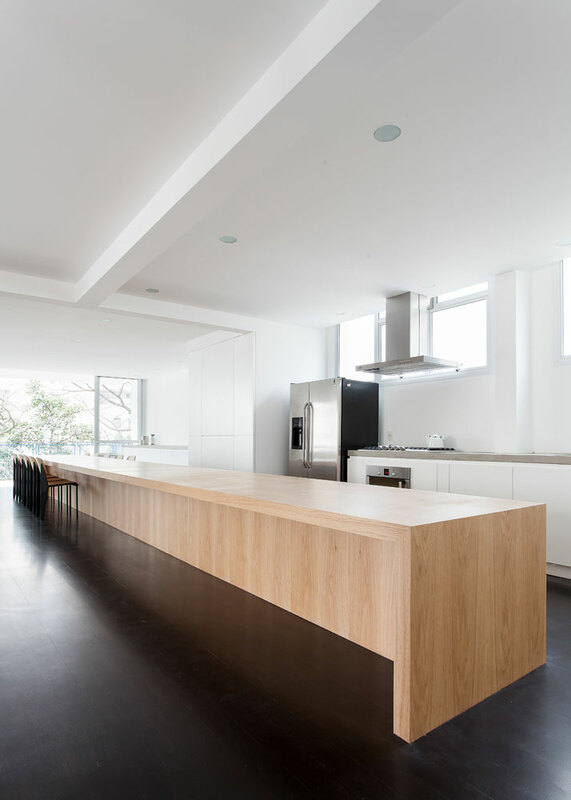 With the brief calling for a spacious, open and clean-cut space, the designers decided to tear down almost every wall and unify all social areas. 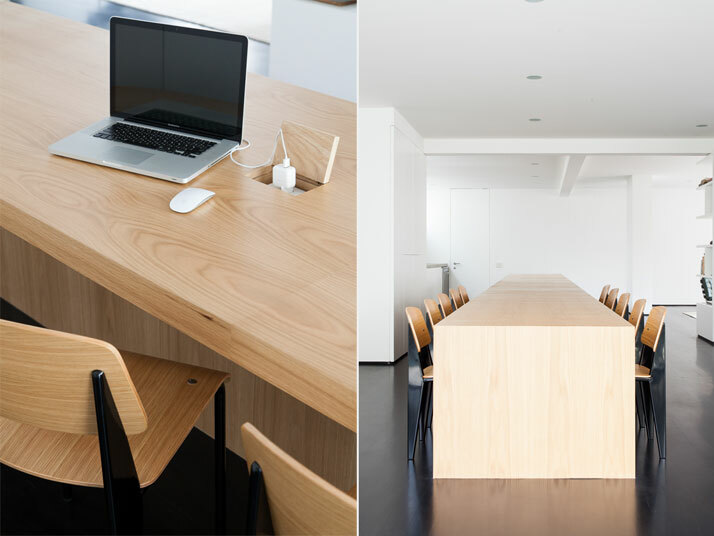 One of its unique features is a 10-meter-long table that runs along one side of the loft-like space, serving different purposes at different points (functioning as a cooking table and office desk with inlaid power plugs and dining table). 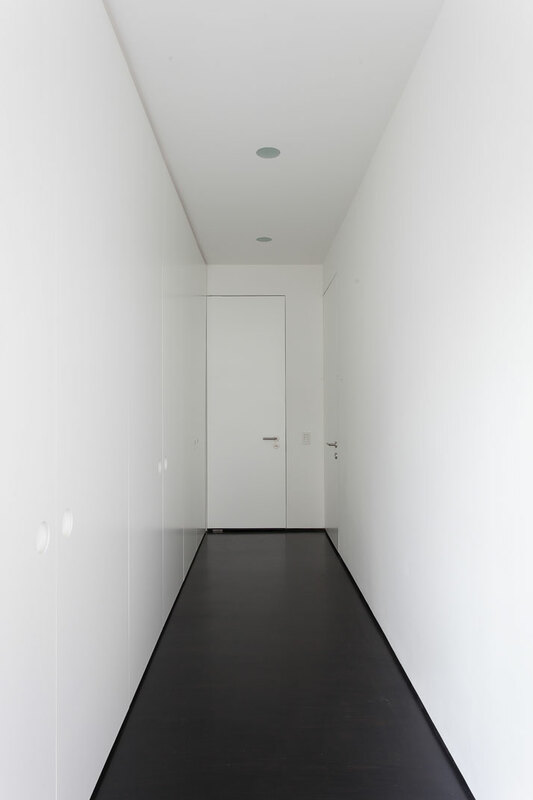 The apartment’s private areas, comprising a master bedroom with bathroom and closet and a small toilet for visitors, are separated by a large white wall. 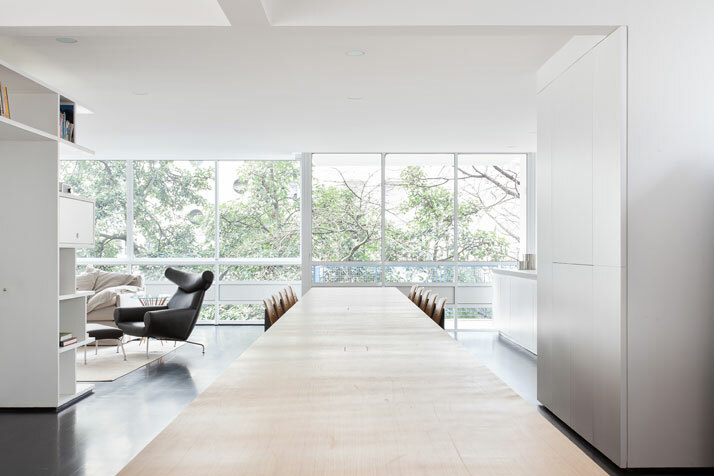 Reflecting the owner’s occupation, a special area has been created opposite the kitchen for rehearsing plays, simply furnished with a few chairs and amply lit with natural light. rehearsal area, photo © Ricardo Bassetti. 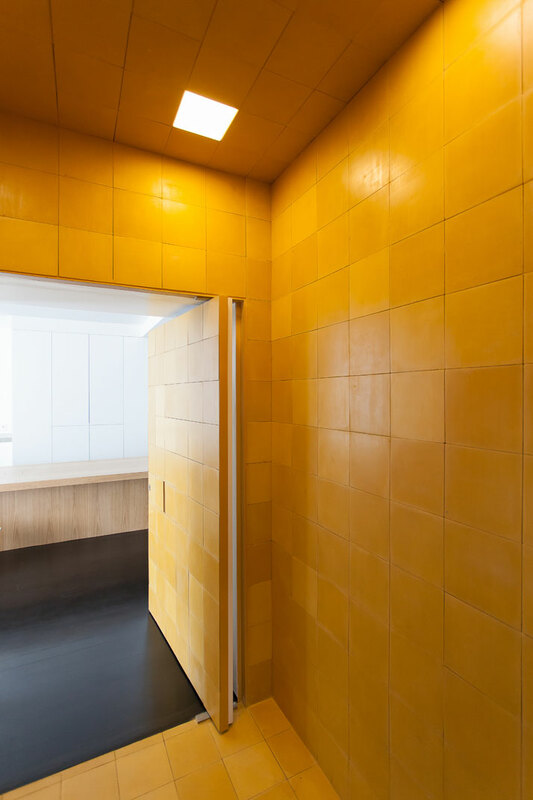 Another feature of the apartment is its main entrance which has been placed inside a cube construction, that is completely covered in bright yellow tiles from floor to ceiling. 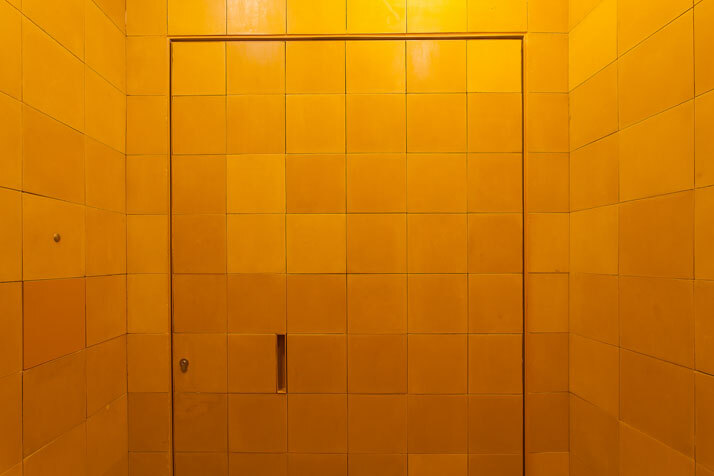 In order to create a seamless surface of tiles, the designers decided not to use a door handle; instead, you open the door in true 1960's James Bond style by entering a PIN on a number-pad hidden behind one of the tiles. 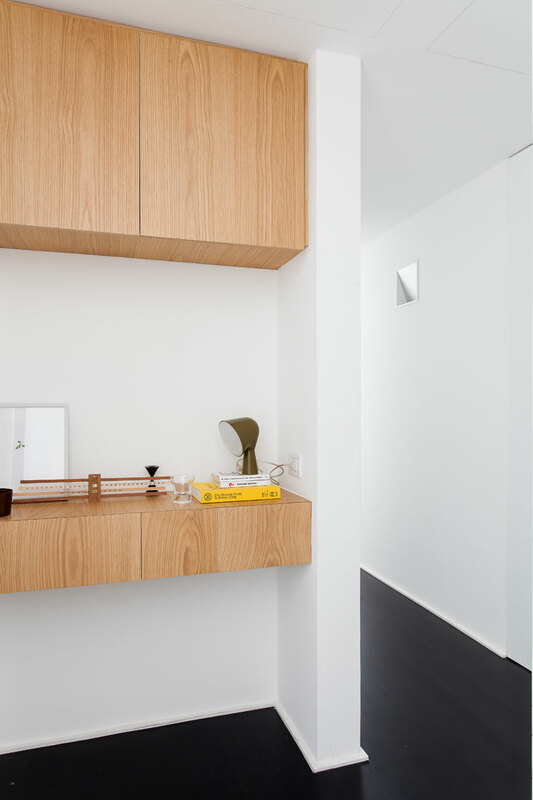 As the entrance cube is covered with shelves from the outside, an illusion is created - as upon entering, it seems like you are coming out of a magic door through the bookcase. 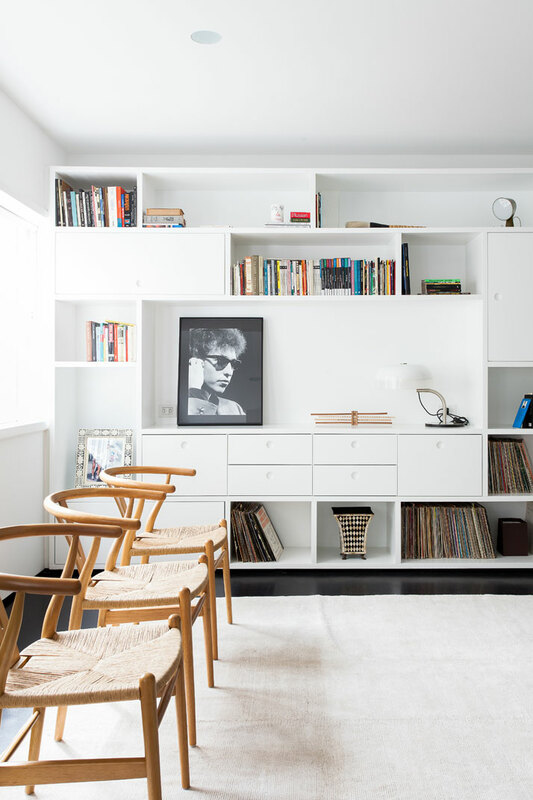 The apartment was given a simple and precise design, using mostly a palette of white, grey and black.Perhaps in order to match the building’s modernist aesthetic, a selection of furniture in the same style has been incorporated, including pieces by Hans Wegner, Jean Prouvé, Le Corbusier and George Nelson. 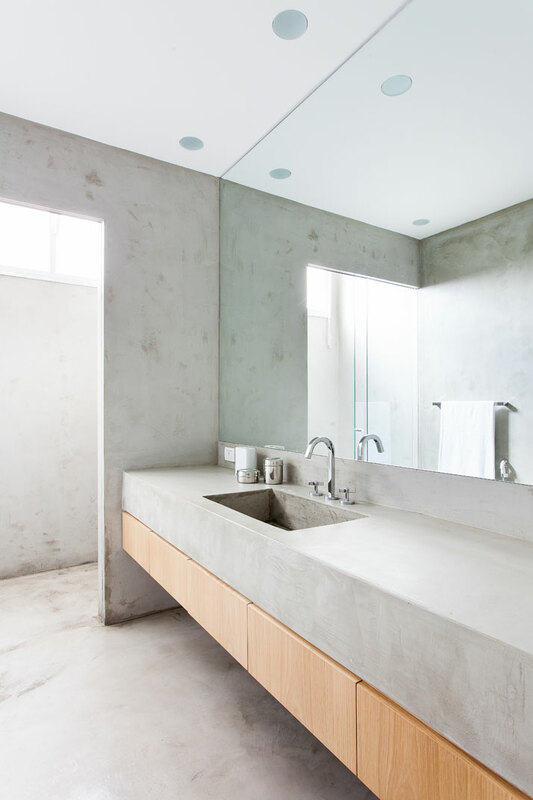 The bedroom and bathroom have elements made of the same wood that was used for the table in the living area, thus creating a sense of continuity and coherence across the two sections of the house. 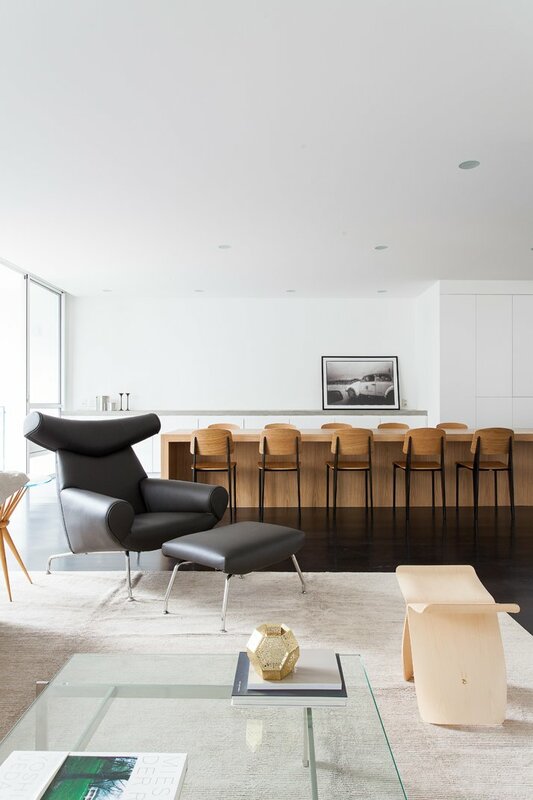 PK Coffee Table by Poul Kjaerholm for Fritz Hansen, ‘Ox’ armhair by Hans Wegner and two chairs against the wall by Le Corbusier. 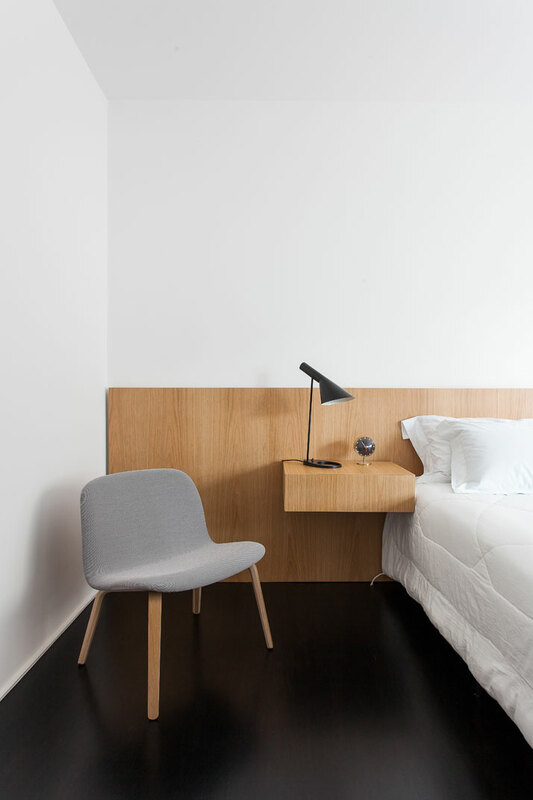 Visu lounge chair by Mika Tolvanen for Muuto and AJ Lamp by Arne Jacobsen for Louis Poulsen. Binic table lamp by Ionna Vautrin for Foscarini, photo © Ricardo Bassetti.